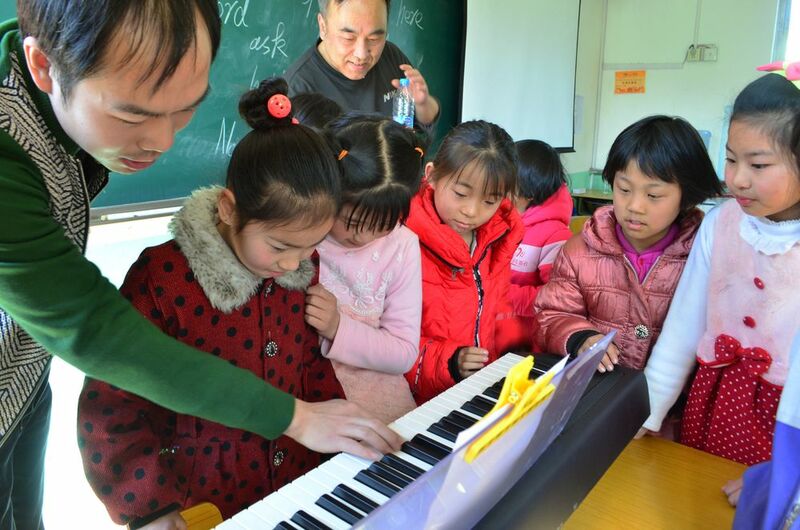 At A Bridge for Children International (ABC), we are committed to serving underprivileged migrant children and orphans in China by offering educational opportunities and placing them into loving families. ABC founder Steve Hwang with orphans in Qiqihar back in 2006. A girls' basketball team huddles at the 2014 TALENT graduation, where all schools played against each other.